Today we are remembering Maine State Police Detective Ben Campbell. 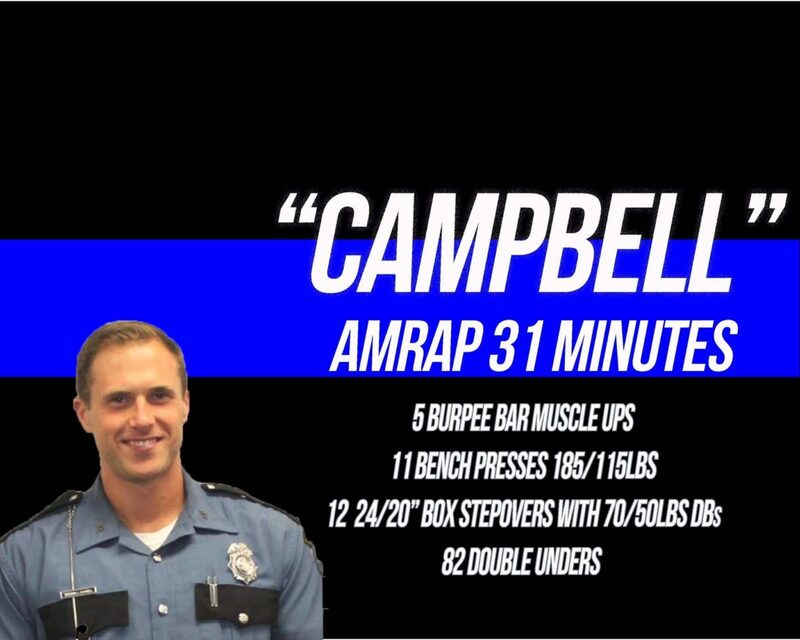 This 31 minute amrap is not a sprint, it designed to test your fitness and skill to challenge and support your class. Please choose movements that you can complete in your best ROM under fatigue. Ben Campbell was 31 years old. Just days shy of his 32nd bday. Ben lived his life to the fullest… Which is something almost unattainable but he managed to do itHis two call numbers with the sp were 511 and 1282.